Khajuraho, dating back to 950 AD and famed for its temples is a world-renowned world heritage sites. 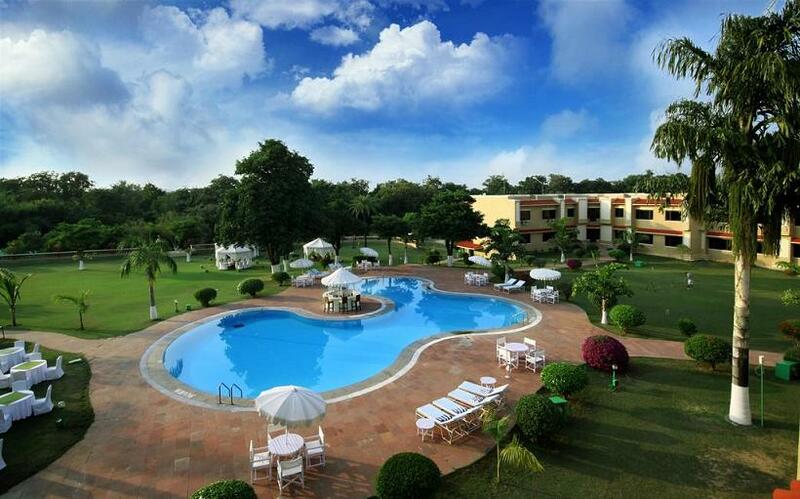 Situated in the lush green grasslands on the banks of river Khuddar, Clarks Khajuraho, the first 5-star hotel in Khajuraho, extends a warm welcome with magnificence and style. Located near the Khajuraho 9th century temples and heritage sites, Clarks Khajuraho is a 10 minutes’ drive from the Khajuraho Airport and a 15 minutes’ drive from the Khajuraho Railway Station. Khajuraho, the great Chandela capital of the bygone era is now in Chhatarpur - a district of Madhya Pradesh. There were about eighty-five temples of which only a few have survived and are visited by tourists across the world. The temples at Khajuraho are radiant examples of medieval Indian architecture. 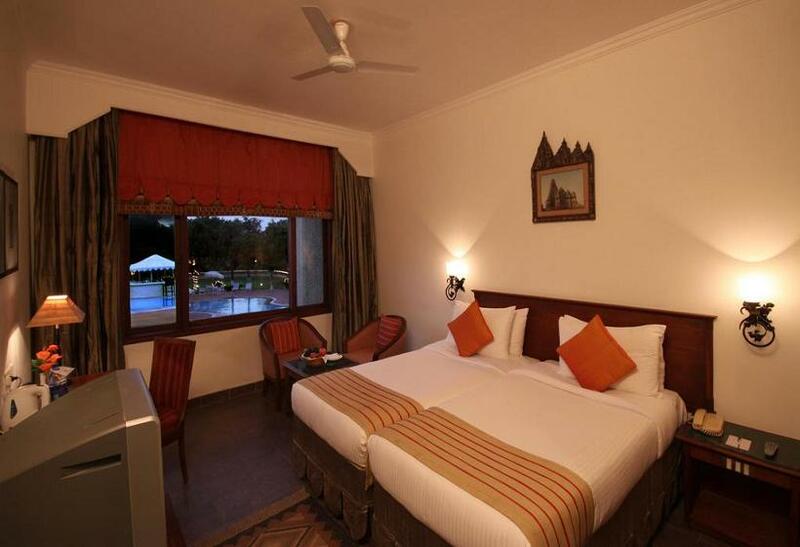 Clarks Khajuraho serves as a perfect accommodation for those who long for luxury stay. 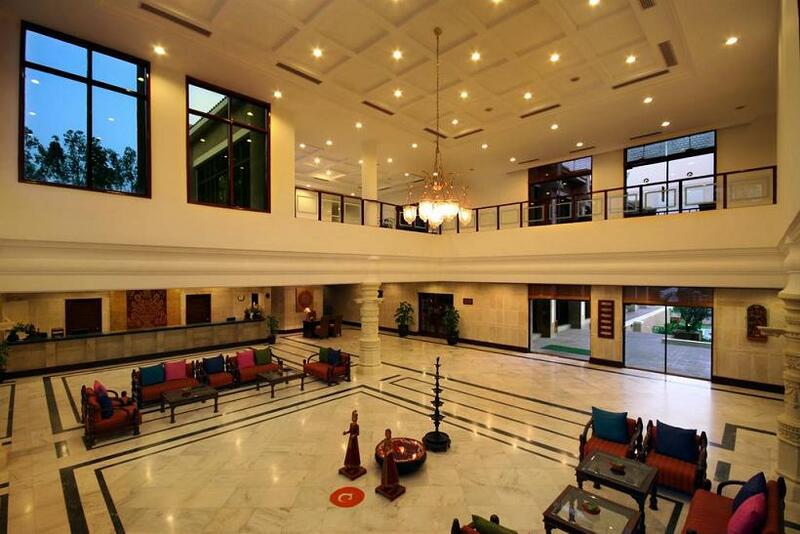 This 5-star hotel, overlooking the banks of Khuddar, provides guests with an ethereal ambience to relax. There are 104 well-appointed rooms in the hotel that are divided into two categories, namely Deluxe Room and Suite./n/nThe in-house multi-cuisine restaurant, Darpan, is instrumental in serving mouth-watering dishes, desserts and beverages. Kamini, the lobby bar is well stocked with a range of domestic as well as foreign liquor brands. 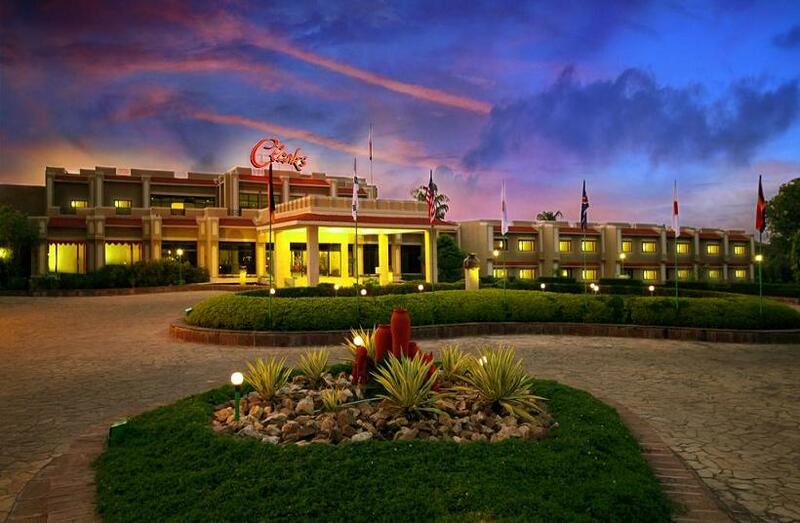 The hotel also has a poolside barbeque and a bar facility which can be made available to guests. 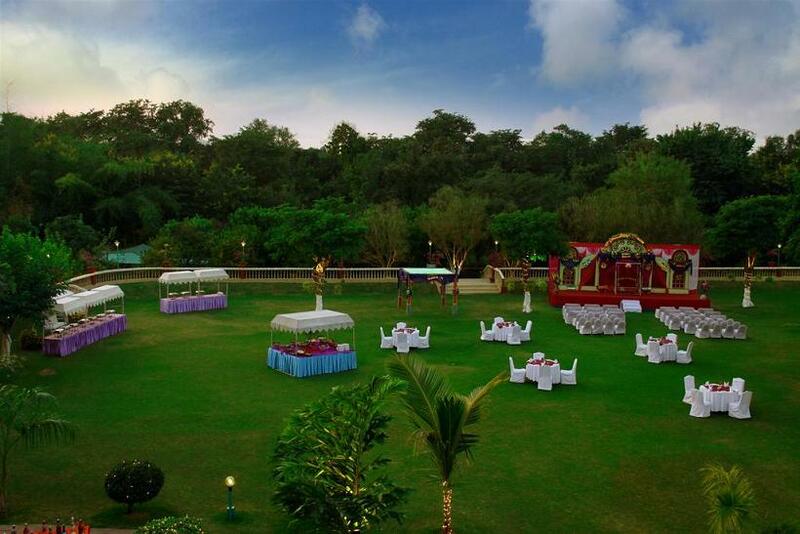 Clarks Khajuraho offers numerous venues for banquets, conferences, weddings, and meetings in Khajuraho and can accommodate up to 7,000 guests. 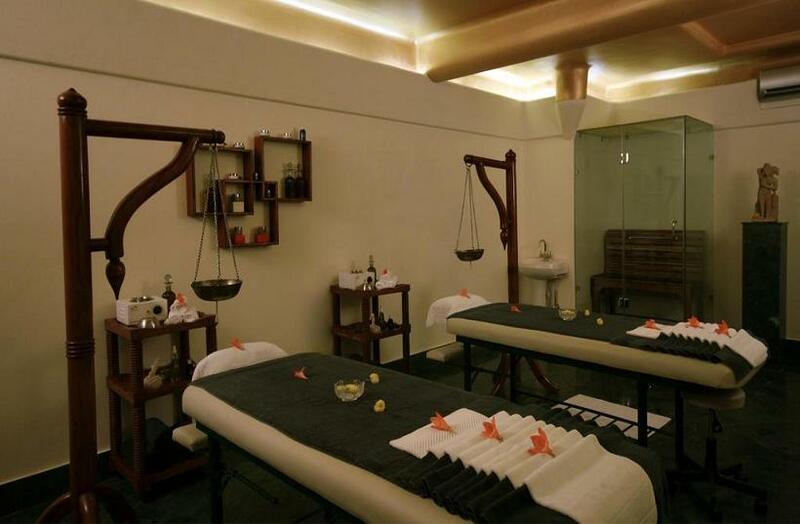 The Spa at Clarks offers guests an opportunity to rejuvenate themselves. The Spa overlooks an outdoor swimming pool and a recreational area featuring badminton court, tennis court, a cricket net, a jogging track, shopping arcade, safe deposit lockers and laundry service. 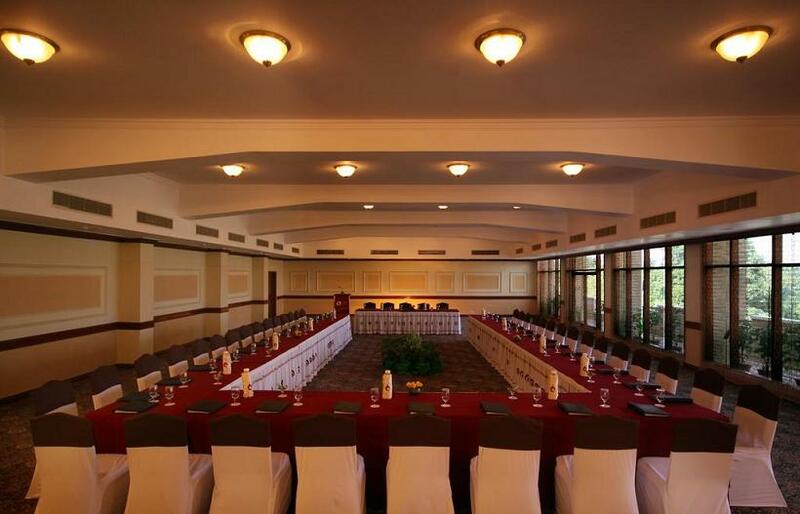 Banqueting and Conferencing at Hotel Clarks Khajuraho. Facilities like Sound Equipments, LCD, Video scope, Audio Visual Aids, Demonstration equipment, complete with specialized personnel, secretarial services, fax, email, internet, Xerox are all available to the guests. In addition there is a Business Center with a Board room equipped with all facilities like Internet, Photo copying, Fax and Secretarial Service. 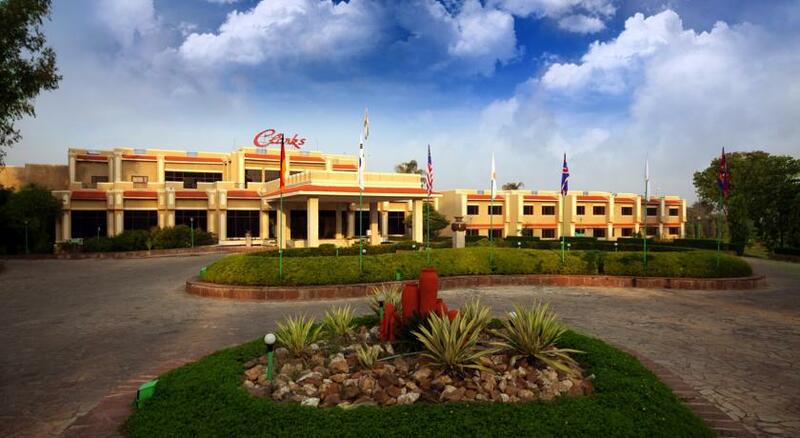 This family-friendly Chhatarpur hotel is located near the airport, within 2 mi (3 km) of Javari Temple, Matangeshwara Temple and Viswanath Temple. Varaha Temple and Parvati Temple are also within 2 miles (3 km).